Experience Granite Belt at a leisurely pace, cycling the quiet country roads which string the dozens of cellar doors and foodie stops together. 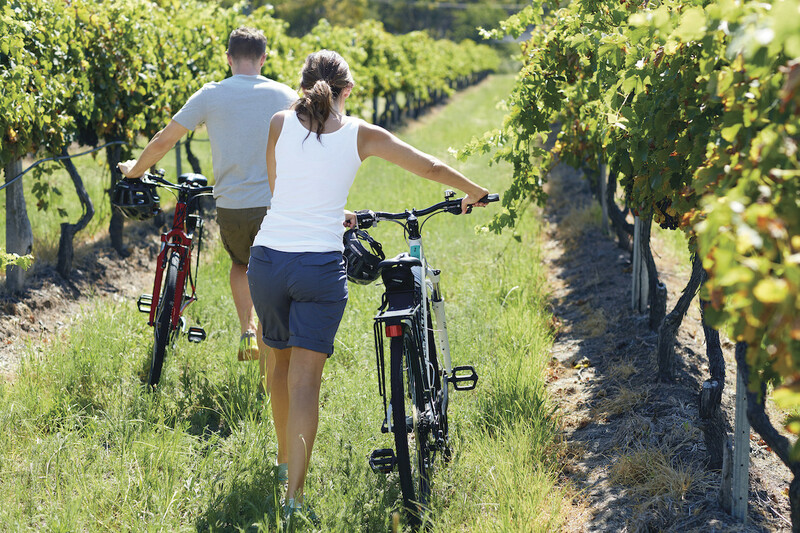 The countryside to the north of Stanthorpe and all the way down to Ballandean is dotted with so many scenic vineyards, apple orchards, granite boulders and dozens of tourist spots to visit that it makes for an ideal place to tour with pedal power. 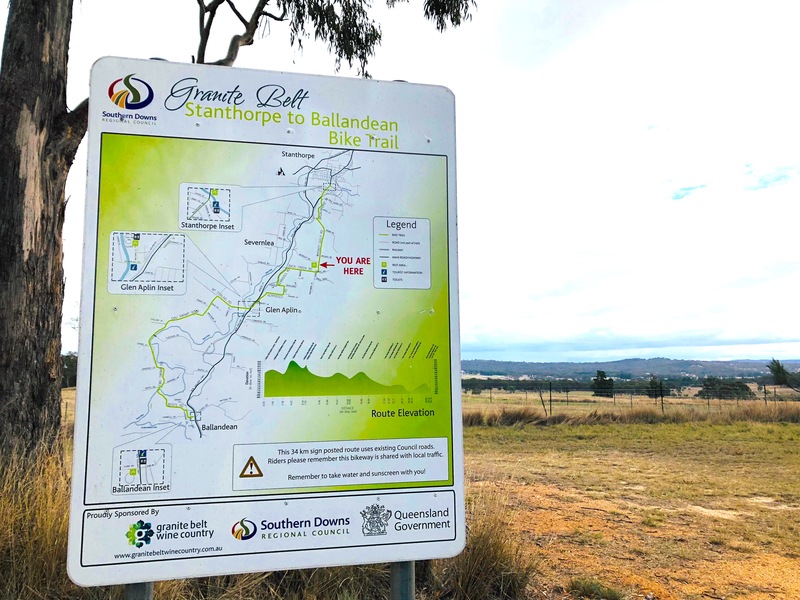 A popular trail is the well marked Granite Belt Bike Trail, which follows 34km of quiet country roads, starting in Stanthorpe at the picturesque creek and meandering through quaint country back roads towards Ballandean, Queensland’s most famed wine region. 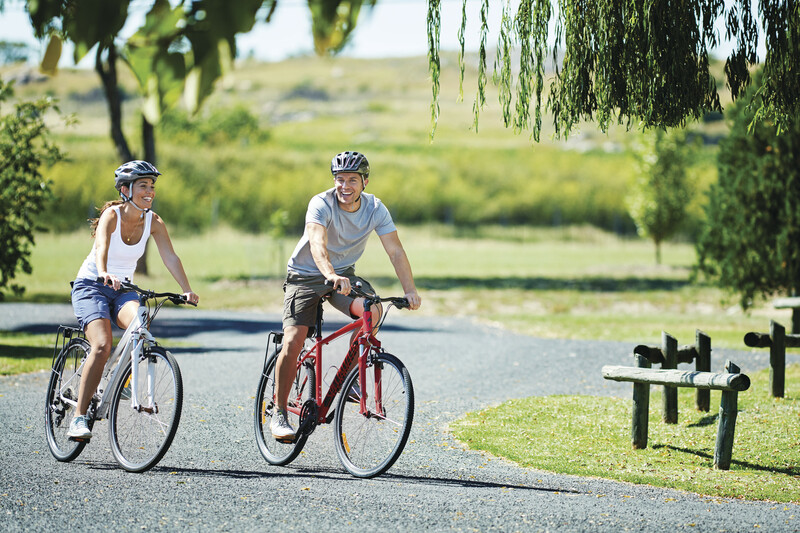 There’s eight cycle tour routes that have been identified, of varying lengths and difficulty, so visit Ride the Great Divide here to view more great tour options in the Stanthorpe region. Bring your own bike, or hire one from the local Stanthorpe based bicycle tours and hire business.